YUDU, Aug. 2, 2014 - Straw sandal craftsman Chen Luoshou shows a pair of straw sandals in Buqian Village of Luoao Township in Yudu County, east China's Jiangxi Province, Aug. 1, 2014. 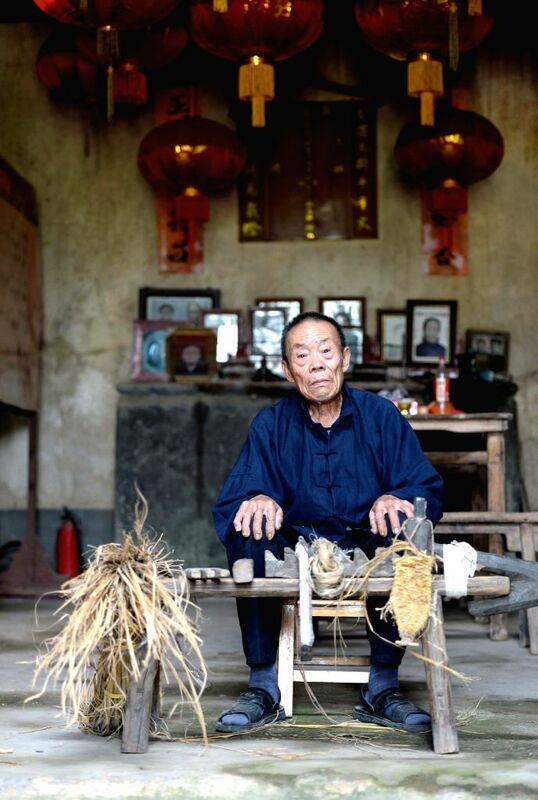 Chen Luoshou, who is 78 years old, is one of few craftsmen able to weave straw sandals in Yudu County. Though nobody wear straw sandals nowadays, the septuagenarian still persisting in weaving straw sandals every day. 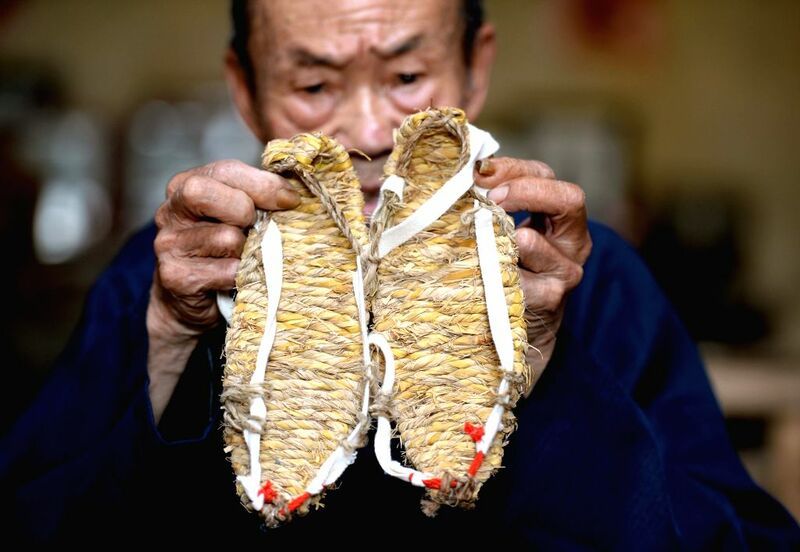 A pair of straw sandals costs the old man two hours and they are usually sold to tourists or exhibition halls with 30 yuan (4.85 U.S. dollars). Straw sandal craftsman Chen Luoshou poses for photos with his straw sandals weaving tools in Buqian Village of Luoao Township in Yudu County, east China's Jiangxi Province, Aug. 1, 2014.